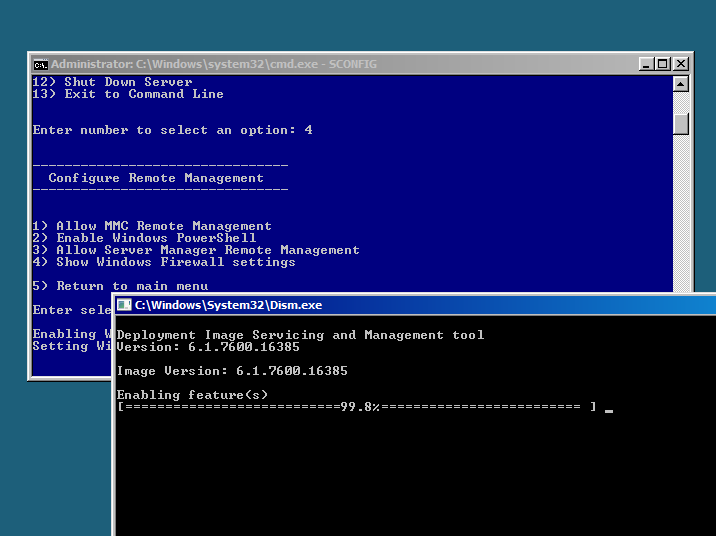 After you install Windows 2008 R2 Core Server from media, you notice that powershell is installed by default. PowerShell is essential in Core environment to administer core operating system. So, it is recommended to install powershell after you install Core operating system to take full advantage of this powerful programming language in configuring the several OS parameters. Today, I installed a core server and thought of writing a articles on how to install powershell in Core. 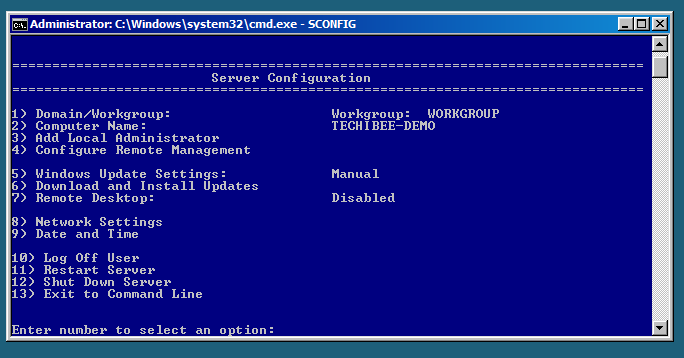 Logon to the Server with administrator account and start server configuration wizard by typing “SCONFIG” in command prompt. This completes the installation. 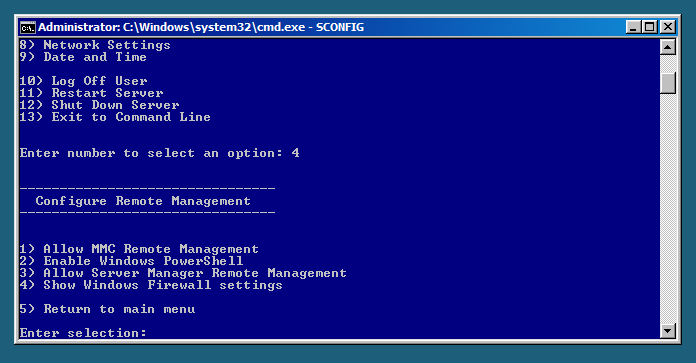 Now you can start powershell by starting the process “powershell.exe” either from command prompt or from task manager. At point 1 – replace sconig with “sconfig” and it should work. Hey.. thank you. I corrected the typo.